Here's a pretty new rainbow craft for you! I know, I know... my last couple of posts have been about rainbows, but I am trying to *Think Spring* over here. Spring weather is coming (sooner than later I hope!! 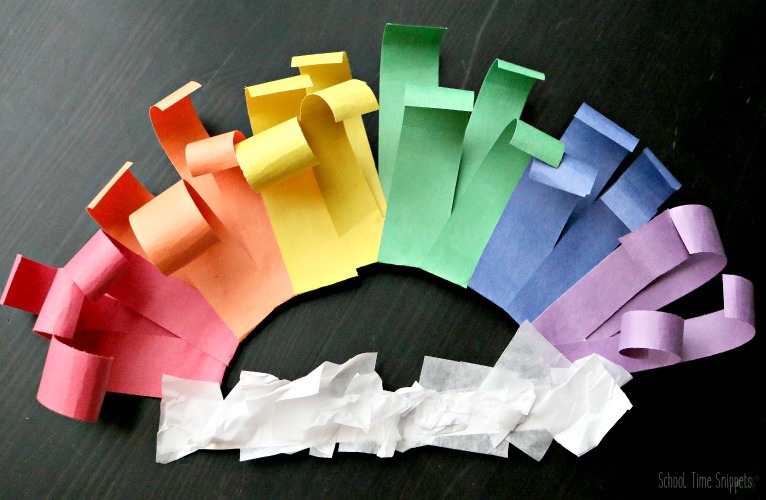 ), so until then brighten up your wall with this pretty rainbow paper craft the kiddos can make. Rainbows are also a great way to explore colors! Just seeing the colors of the rainbow in this craft make my heart happy! Just imagine the awe that your preschooler must feel. 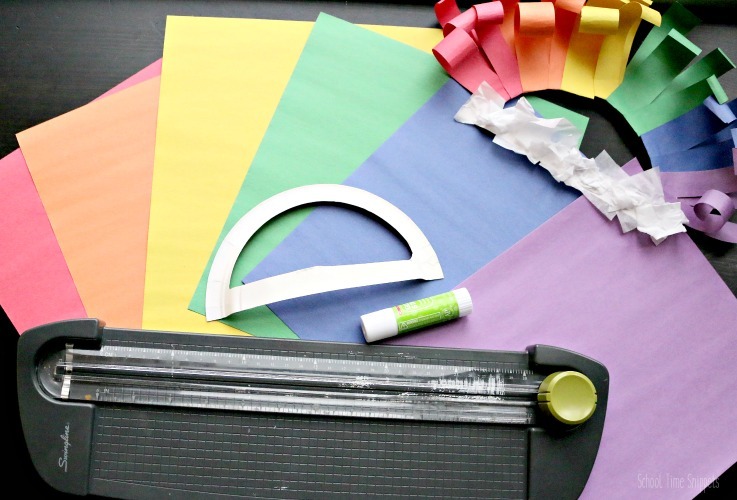 Whether you are learning about how a rainbow forms, or just adding rainbow elements to your learning activities, enjoy this simple paper rainbow craft! Then, try one or all of these 9 Super Colorful Rainbow Activities, too! Grab a piece of construction paper for all the colors of the rainbow: red, orange, yellow, green, blue, and purple. Are you familiar with the acronym ROY G BIV?! That helps me remember the order of the colors of the rainbow. 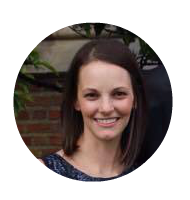 Cut two 1 inch thick strips of each color-- a paper cutter is definitely your friend here! Also prep the paper plate by cutting it in half, and then cut out the middle. Thus you'll be left with a semi-circle. Begin with the red strips. 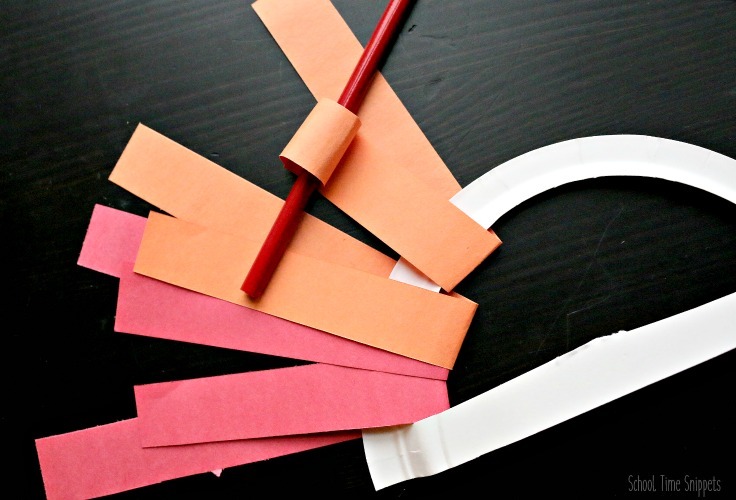 Apply glue to the middle of each red paper strip. Fold the red paper strips in half over the arch of the paper plate, but slightly over-lap the fold. The strips of paper do not have to line of with each other; they can be mis-matched. Continue with 2 orange stips, 2 yellow strips, 2 green strips, 2 blue strips, and 2 purple stips. Once you have a rainbow of paper strips covering the arch of the paper plate, take a pencil and curl each colored strip towards the middle. The more you curl, the larger the curl will be. This is a great activity to work on fine motor skills! 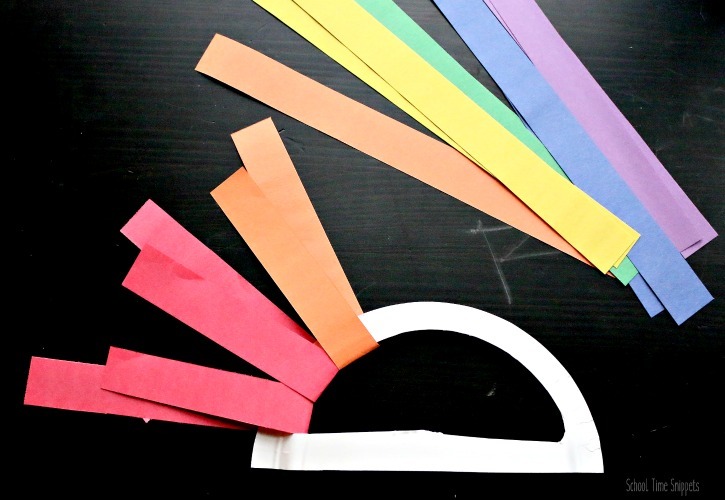 To finish up this rainbow wreath paper craft, add white tissue paper squares along the bottom of the paper plate to make clouds. Cotton balls would work too. Although wouldn't you know it that I couldn't find them until after we finished the craft! No need to wait for anything to dry. 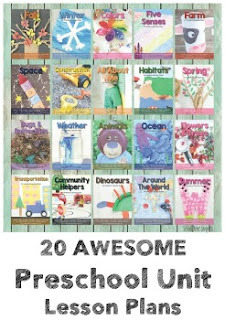 Find a spot in the house to hang it up and get ready for srping! 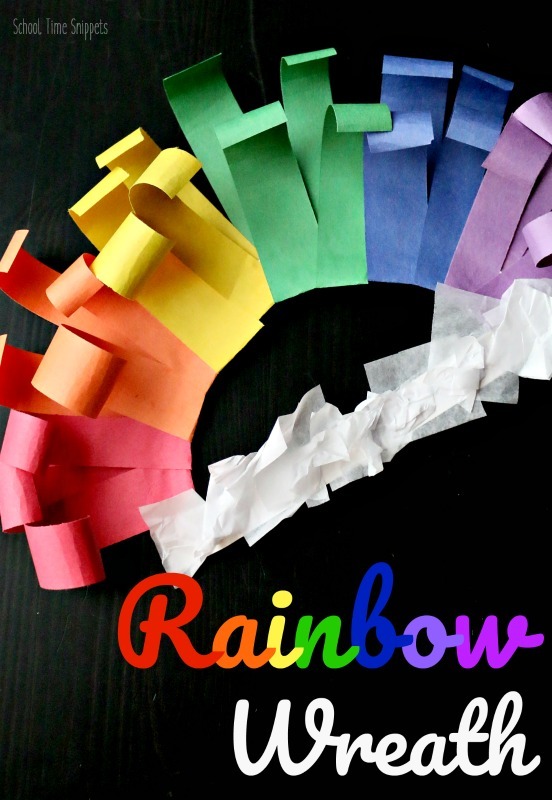 Are you a fan of rainbow crafts and activities, too? 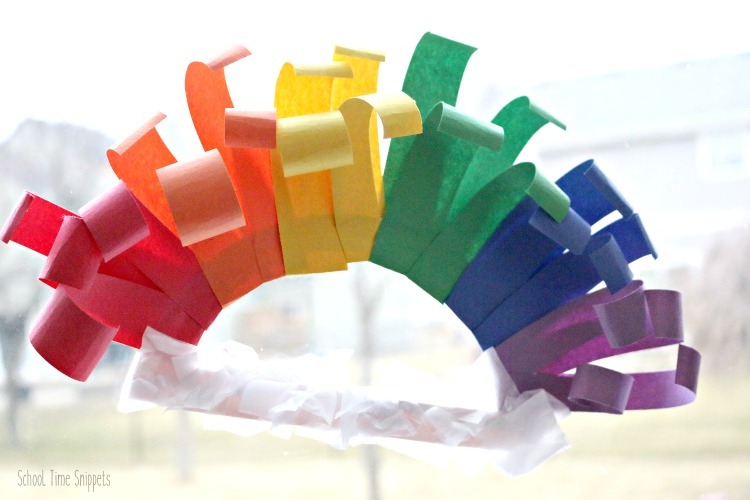 This rainbow craft was inspired by Whimsy Workshop Teaching's Christmas Wreath Tutorial.